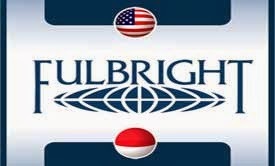 Fulbright grants for Master’s are available to Papuan residents in the following fields: Engineering, Environmental Science, Public Policy, Public Health, Business and related fields. A minimum institutional TOEFL score of 525 or IELTS 5.5 or IBT TOEFL score of 70/71. Please note that TOEFL prediction or TOEFL-like score is not accepted. Completed application form. This includes a clearly written and concise one page study objective. Demikianlah informasi mengenai Fulbright Freeport Master Grants, American Indonesian Exchange Foundation, USA semoga berguna bagi anda.